NANAIMO, B.C. 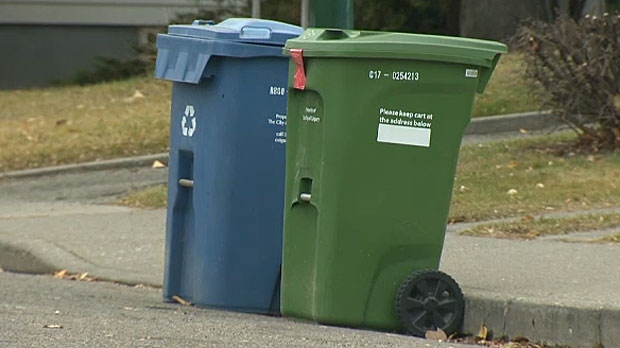 - The discovery of an apparent big section of deer carcass in a City of Nanaimo green bin has prompted the Vancouver Island community to launch a refresher course on what is or is not acceptable for its kitchen scrap composting program. David Thompson, Nanaimo's manager of sanitation and recycling, says the large deer hip or shoulder found in a load of organics last week was the most bizarre contents his staff have encountered since the program was launched. Residents can toss small meat, poultry or fish bones and other organics in their bins, but Thompson says the metre-long by half-metre-wide bag filled with large bones and chunks of meat was far more than the processing plant could handle. The grisly find prompted an unusual social media post from the city on Monday, reminding residents that animal carcasses are not acceptable in the green cart. Thompson says the department was deluged with responses, forcing staff to spend most of Tuesday clarifying that kitchen scraps, meat, fat and small bones can be tossed in but anything larger must be handled differently. Staff have occasionally found other unacceptable items in the bins, such as diapers, dead crows or road kill, but Thompson says the latest unpleasant discovery is the most extreme. “Clearly it was from a hunting operation. That's way above and outside what we'd expect in the green bin,” he said. The British Columbia Conservation Officer Service says unused animal remains should be taken to a rendering operation for disposal or returned to the woods, far from any recreational areas.